Last Day of the VPPPA! Today is the Last Day at the VPPPA Conference. If you want your site to be leader in safety and health, why not learn from those who have already done it? 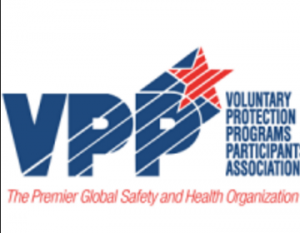 There are more than 100 featured workshops on a variety of safety and health topics, including how to improve your site’s safety culture, how to comply with new or existing OSHA regulations, how to get into and then thrive in VPP and ways to increase employee engagement, to name a few. The VPPPA national conference is also a great place to meet new people and make long-lasting connections with others in your industry. There are numerous opportunities for networking throughout the conference including a casino night, receptions, meal functions, regional networking meetings and exhibit hall breaks featuring more than 300 exhibitors from across the country.